Jennifer works at the Centre for Coastal Health as an associate researcher and project manager for Ecosystem and Public Health projects. She received her BSc from the University of Victoria (Marine Biology), her post degree diploma in Aquaculture and Fisheries from Vancouver Island University, and her MA (Environmental Management and Sustainable Development) from Royal Roads University. 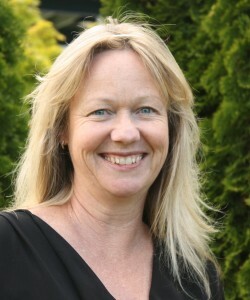 Jennifer has been with the Centre for Coastal Health since 2006. Jennifer has been actively involved on a variety of research projects in areas of environmental health, public health, wildlife health, fish health, and food safety and security. To support these projects, she brings knowledge and skill sets which include: rapid, targeted literature reviews, systematic literature reviews, research design and planning, decision making and facilitation, analysis of qualitative and quantitative surveys, multi-criteria decision analysis, policy development and evaluation, and fish health diagnostics. Since 2006, Jennifer has worked on an international team of researchers in the capacity as a researcher and project manager for three research and development projects in Sri Lanka: 1) Veterinary Public Health as part of the global response to emerging diseases. Building a sustainable model in Sri Lanka with extension to South and Southeast Asia (International Development Research Centre, Canada (IDRC)); 2) Promoting rural income from sustainable aquaculture through social learning in Sri Lanka (Canadian International Development Agency (CIDA); and 3) Building research excellence in wildlife and human health in Sri Lanka (IDRC). Jennifer has worked on several high profile projects related to the risk of aquatic pathogen transfer. This included a contract on behalf of the Cohen Commission of Inquiry into the declines of sockeye salmon to examine the possible role of diseases associated with federal and provincial enhancement facilities on the recent decline of Fraser river sockeye. Additional projects related to aquatic pathogen transfer were: 1) a risk assessment of a proposed connection between two drainage basins in Northern Canada; and 2) a review of the potential risk of fish disease transfer related to the Devils Lake, North Dakota outflow project, conducted for the International Joint Commission (IJC).